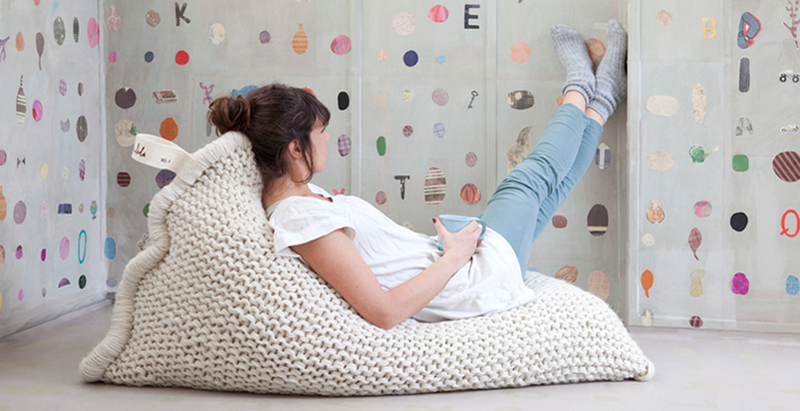 How gorgeous are these knitted floor cushions/bean bags?! I saw these today on poppytalk, from a little company in the Netherlands called Zilalila. 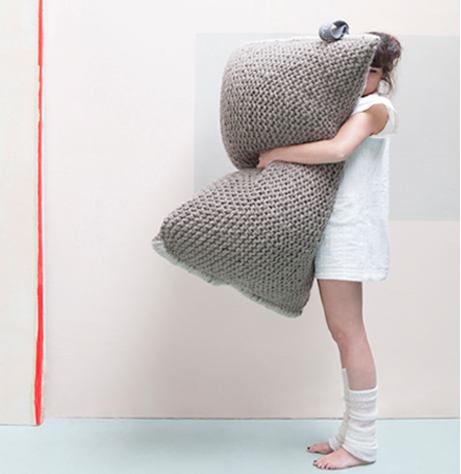 Aptly and adorably named 'Nest', they are hand knitted by a fair trade production in Nepal, made from pure New Zealand wool, and filled with recycled templex material collected from all over The Netherlands. International goodness! They are available from Sukha in Amsterdam. Eco-friendly, handmade and unique - what's not to love? Looking at these cushions is getting my knitting needles twitching...I had so many projects planned out before I started my crochet affair, I think it could be time to go back to my first love. These are gorgeous. I love a bit of knitted furniture! I love them...they looks so comfy!I wish I could knit.